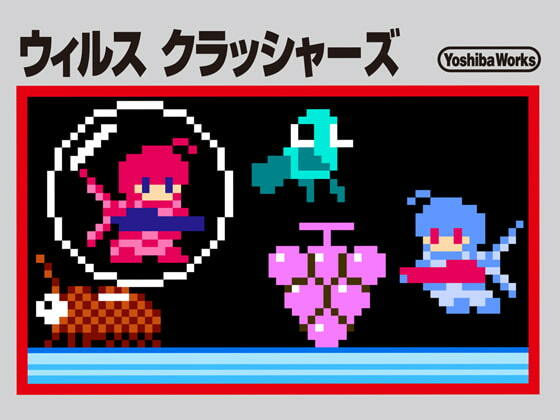 VIrus Crashers is a nostalgic 8-bit indie game in the style of the almighty Famicoom generation. For fans of pixel and retro graphics. Playable with 2 controllers at once! Remember coming home from school and playing this kind of game as a kid. Gaming with your brother or your friend. Relive the good times with Virus Crashers. Virus Crashers is A nicely well-done game to play casually on your own or with a friend.The main Premise of the game is to shoot some bugs(Virus) and popping them. This game features a nostalgic NES style that fits with the game play. Similar to bubble bobble that was originally on the NES. I found myself playing this game from time to time With a buddy. Pretty easy to pick up and play, Though I myself cant get all the way through 99 stages.